We build websites that are designed to sell. Our custom Ecommerce platforms help sell your products and services online. We design & build web stores that are tailor made to your requirements and suit your budget. 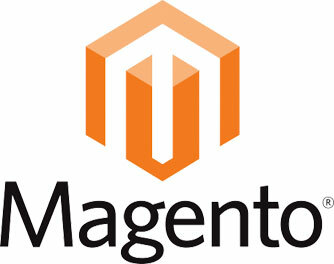 We develop money-making Magento sites. Magento is the benchmark Ecommerce platform and our skilled web design & development team create stunning web stores that come stacked with features to help you sell more online. We make custom E-commerce sites. Woocommerce is a great framework for us to offer ‘affordable-luxury’, we offer truly bespoke design & build process without the price tag of other Ecommerce platforms, ideal for start ups and entry level online stores. We create powerful CMS driven webstores. Our in house web team combine the features of enterprise level Ecommerce platforms with the vast features of the Drupal framework, it’s open source, highly scalable and allows us to take a truly ‘made-to-measure’ approach to your online store. Let's talk 0208 304 1413 or email us. Web Design Agency Shard is a London & Kent based website and graphic design company offering full service of creative & digital design, web development in WordPress, Drupal, Magento, Joomla and SEO & PPC services. Working with hundreds of clients across branding, graphic design, advertising and promotional creative services and a vast experience in website design and development, CMS and Ecommerce. Shard Creative & Website Design Agency London & Kent have mostly depended on client recommendations to generate business, see our portfolio or contact us to start your project. Graphic Design London Agency Shard provides quality graphic design services. Established in 2009, London & Kent Design Agency Shard design services include graphic design; brochure design, annual Report design Corporate Stationery design, Direct Mail, Branding & Logo design, Menu design and Poster design Please call our office in London or Kent on 02083041413 for more information. Your privacy is important to us. We (Shard) are committed to protecting your personal data and respecting your privacy. We want you to be confident that your data is safe and secure with us, and understand how we use it to offer you a better and more personalised experience.Shard are a data controller in relation to any personal data that we process in relation to you. Our contact details are set out at the bottom of this privacy notice. As a visitor to our website, you will remain anonymous. The data we store and analyze is used for statistical purposes only, for instance to ensure the continuous improvement of our services. The data we store on our servers comprises the name of your internet service provider, the website from which you visited us, the Shard web pages you have looked up, your IP address and the date and duration of your visit. We only collect and process personal data if you make use of specific services and we therefore require your data or if you have voluntarily given us your express consent. You may do so, for instance, as part of a registration procedure, by completing a form or by sending an e-mail, ordering products or services, sending us a query or requesting materials. Unless we are subject to other legal commitments, we only use your personal data for the purposes for which you have given your consent. Your personal data will only be shared by us with third parties if that is required in order to provide a service you have requested or if you have given your consent. If data has been released for use by Shard subsidiaries and if such permission involves data transfer to other countries, Shard will ensure that the data importer is placed under a suitable level of data protection commitment. This policy explains how cookies are used on Shard’s website in general – and, below, how you can control the cookies that may be used on this site (not all of them are used on every site). The cookies allow us to identify your computer and find out details about your last visit. You can choose, below, not to allow cookies. If you do, we can’t guarantee that your experience with the Website will be as good as if you do allow cookies.